Tecno Camon i is an affordable bezel-less beauty, it’s the same with the Camon CM but for the Indian market. The device is available in India and the middle east, unlike the Camon CM, the Camon i has a 3GB/64GB version. The device was first announced in India as Camon i, and was targeted at the Indian market. This is Tecno’s first attempt at going bezel-less, and they did it quite well but not entirely. Hopefully, their next Phantom flagship smartphone will sport a much better bezel-less screen. Look at what we have here, a bezel-less Tecno smartphone, with no physical home or navigation buttons. At the back, Camon i doesn’t look far apart from other Tecno smartphones. Specifically it looks exactly like the Camon CX from the back, with no straight antenna lines. The rear camera and LED were horizontally placed at the top left corner. While the fingerprint scanner sits pretty on top of the Tecno logo at the middle. The device measures 7.75mm slim, weighs 134g and available in Champagne Gold, Midnight Black and City Blue colors. The dual sim enabled smartphone supports 4G LTE as well. Definitely the highlight of the Tecno Camon i and what Tecno calls Full Vision display. Well i think the Full View title is getting outdated and Tecno wants to stand out. Talk about standing out, the screen on the Camon i is not the same level with other Tecno smartphones. The 5.65-inch HD+ IPS Full Vision bezel-less screen is simply breathtaking. The screen boasts of 1440 x 720 pixels in resolution offering sharp and clear visuals. Although, there are still annoying visible bezels at the top and bottom corner. The top bezel houses the selfie camera and sensors, while the bottom bezel is useless. The brain behind the Tecno Camon i is the Mediatek MTK6737h chipset which is always on the go. It boasts of Quad-core processors which clocks at 1.3 GHz, for a swift and fast App launching. For multitasking and storing of all your files and apps, there are two variants to choose from. There’s one with 3GB RAM and 32GB internal storage, and a cheaper variant with 2GB RAM and 16GB internal storage. Of course the storage on both versions are upgradeable to 128GB with microSD. Tecno Camon i runs on Android 7.0 Nougat OS from the box with HiOS skin on top. For photography, the Camon i sports a 13MP rear camera with f/2.0 aperture lens and a dedicated LED flash. The camera takes amazing images thanks to the many features on the camera, from autofocus to phase detection. For taking cute selfies, there’s another 13MP front facing camera with f/2.0 aperture lens and LED flash. The front flash will help take the best selfies even in low light environment. Tecno Camon i is powered by a 3050mAh non-removable battery, which should last for more than a day when fully charged. 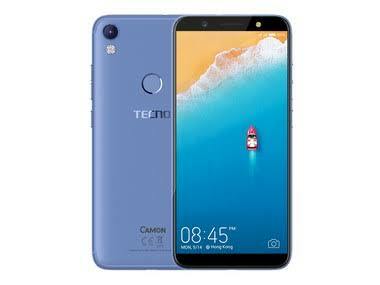 What is Tecno Camon i Price and Availability Status? You can click on the links below to view the latest Tecno Camon i price & availability.